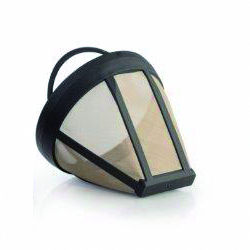 Permanent coffee filter with long lasting stainless-steel mesh. Available in cone-filter size 4. Easy clean in dishwasher or under faucet.